Game plays fine except for these two issues and maybe the problem is connected somehow. Any help would be greatly appreciated. 1) when the top pop bumper is triggered, the 00-90 Unit locks, won’t unlock and make a very loud buzzing noise. It doesn’t matter if the pop bumper is unlit for 10 points or lighted for 100 points, the same occurs, necessitating the game being switched off or the pop bumper to be disconnected. 2) during random points in the game it’ll inject all the balls from the trough into the shooter lane. Does it matter if Match is "in or out"? I tried shutting off the match. Didn’t help. There is an EOS switch on the unit. If that is not opening the unit will lock. Thank you for the help. I’ll be back at it this evening armed with great leads to run down. Man I love pinside! It sounds like the same issue I had. The solution is at the bottom of the thread. 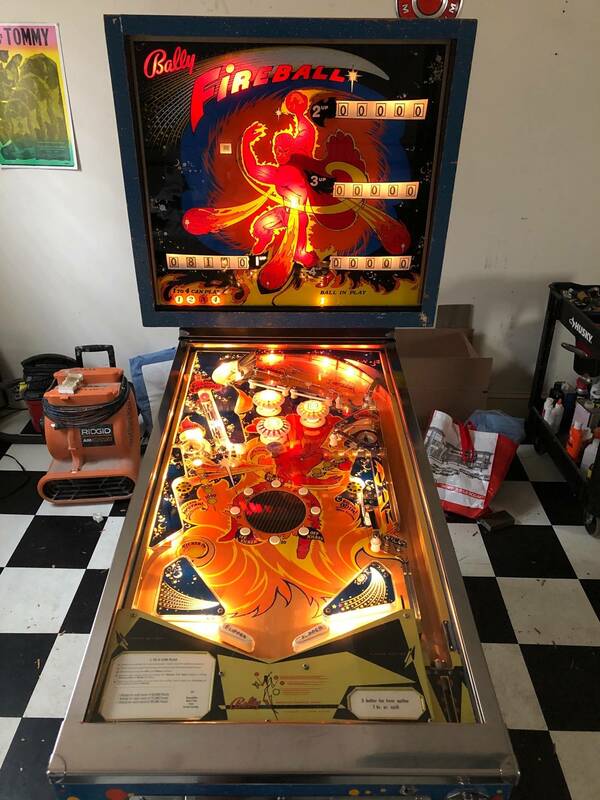 https://pinside.com/pinball/forum/topic/1972-fireball-puts-2-balls-in-shooter-lane-at-once The solution is at the bottom of the thread. The solution sure was at the bottom of the thread. 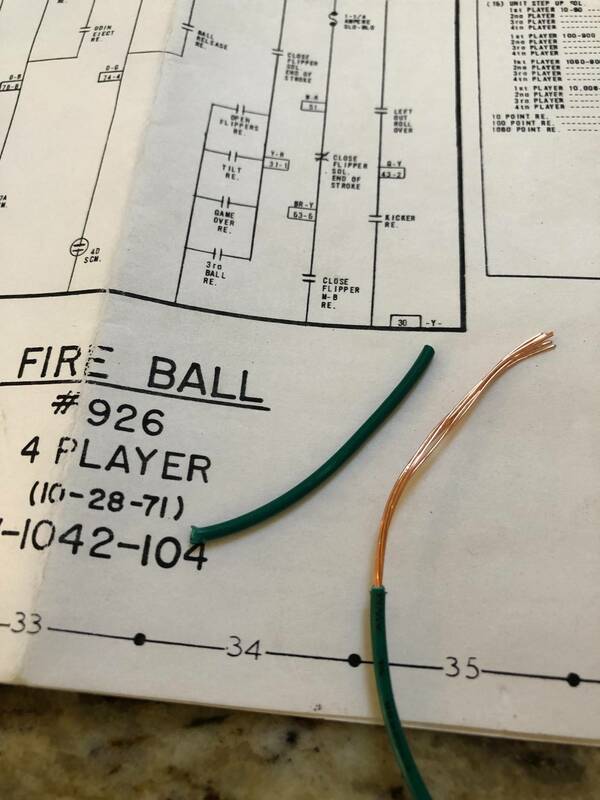 I took some insulation off some wire and added it to the switches.